1510 Mahogany Run Dr. is now under contract. For more information on homes in the area, call the Hollinden Team at 502-429-3866. If tons of square footage is on your criteria list for your next home, you will want to see 1510 Mahogany Run Dr. This lovely 6,169 square foot home in GlenEagles Estates offers six large bedrooms and four and a half bathrooms! In fact, this home is actually one of the largest homes in GlenEagles Estates. Not only is this home on Mahogany Run Dr. spacious, it is also elegant. As you enter into the foyer of this home, you will be greeted by a free standing curved staircase, large formal dining, and living room. Venturing further into this home, you will find a two-story great room with vaulted ceilings, fireplace, and built in bookcases. One of the most appealing features of the great room are the windows that allow tons of natural light into the home. The windows overlook the spacious deck in the backyard and golf course. Moving on into the eat-in kitchen, you will find a completely updated space ready for your personal touches. 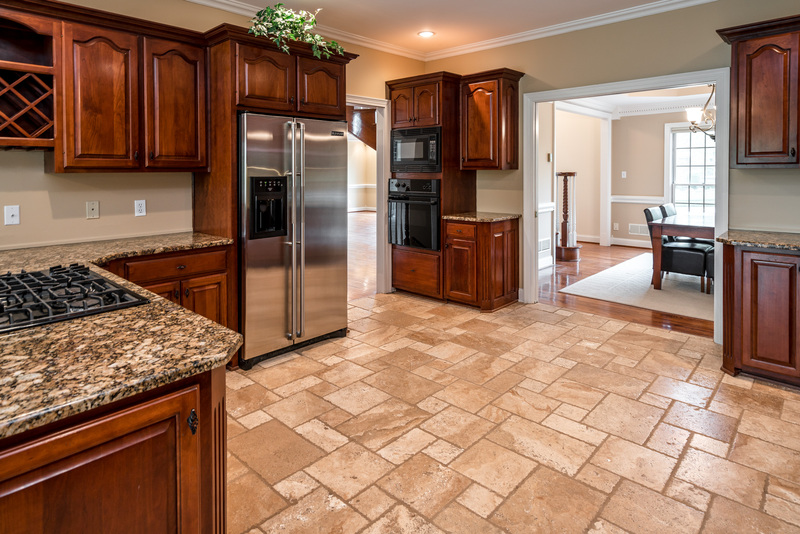 The kitchen boasts cherry cabinetry, granite countertops, and a gas cooktop. On the first floor you will also find a master bedroom, master bathroom, and laundry room. One of the unique features of this home is that there are actually TWO master bedrooms and bathrooms. On the second floor you will find the HUGE master bedroom and bathroom. If the large space this master bedroom offers wasn’t enough, there is also a private balcony overlooking the golf course. The master bathroom is equally as impressive. The walk-in closet is a shopaholic’s dream boasting tons of shelving and racks for shoes, clothes, purses, etc. The master bathroom doesn’t stop there. You will also find a huge whirlpool tub, vaulted ceilings, and a SAUNA! In addition to the master bedroom and bathroom on the second floor, you will also find large study with built-in bookcases and two more bedrooms. Next stop in the home is the basement. You will find that the basement offers so much that it is like having two homes in one house. Like the family room on the first floor, the living room in the basement offers ample natural light and a fireplace. You will also find a full kitchenette, two bedrooms, one full bathroom, and another laundry room! This basement is perfect for hosting out of town guests or just entertaining in general. Lastly, there is the backyard. You will see that in the backyard the landscaping has been very well maintained. As mentioned before, the backyard has a huge deck and patio, but that is not all. In addition, there is also a screened porch with a teak wood ceiling. The backyard is yet another place in this home that is perfect for entertaining. 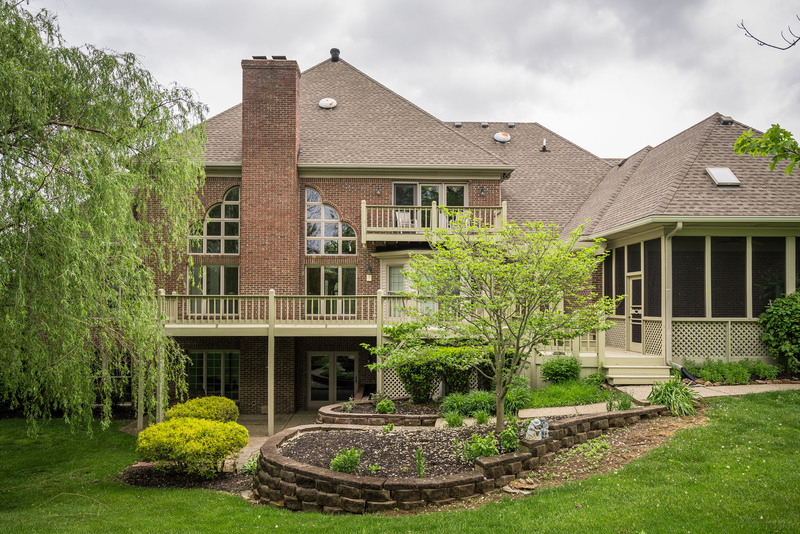 For a private tour of this standout home at 1510 Mahogany Run Drive located in GlenEagles Estates, also known as Louisville MLS 1444647, give Tim Hollinden a call at 502-429-3866. 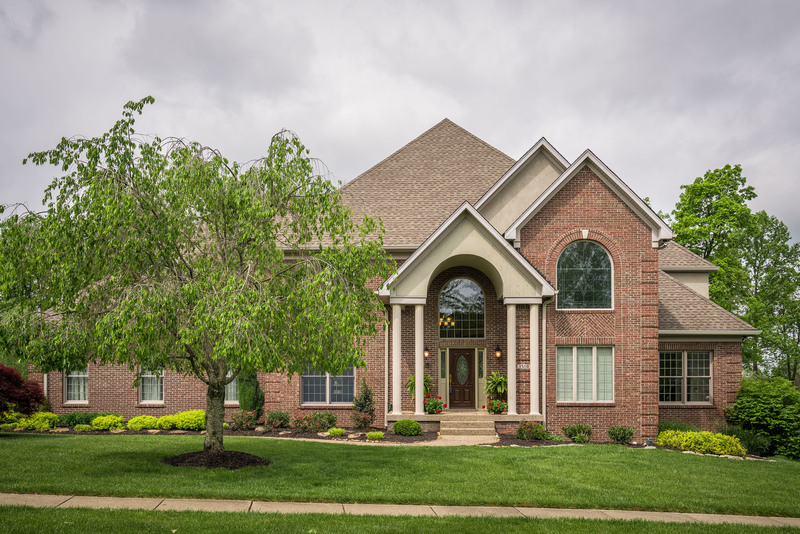 If you want to see other Homes in GlenEagles Estates, or homes in Oldham County, The Hollinden Team can help you with that as well.